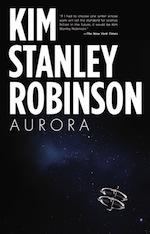 Antarctica is Robinson's first novel published after the success of the Mars trilogy, published in 1997. It was written as a result of Robinson's experience in the continent itself during a visit organized by the "Artists & Writers" program of the National Science Foundation in 1995. 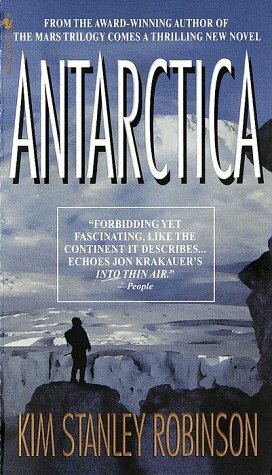 Set in the close future at the time of writing (start of 21st century), it describes the adventures of a US Senator envoyé in Antarctica, who investigates happenings related to the upcoming renegotiation of the Antarctic Treaty and discovers local Antarctic cultures, either ferals living off the land or ecoteurs (ecological saboteurs) fighting against environmental degradation. It follows several characters from their own point of view, and is rich with passages on Antarctic history. Antarctica shares many themes with the Mars trilogy, such as environmental awareness, the exploitation of natural resources, feral living style and descriptions of landscapes with conditions as extreme as those in the Mars novels -- because of the similarity in the themes of both works, Antarctica has been called "White Mars" by some. It also shares some characters with the Science In The Capital trilogy, such as Wade Norton and US Senator Phil Chase. The character of Ta Shu was also reused in Red Moon. In Antarctica, X, a General Field Assistant, is driving a SPOT train when he is hijacked by "ice pirates" on the way to McMurdo, a vehicle is taken.Val, tour guide, is touring a group of clients at Cape Crozier, recreating Cherry-Garrard's Worst Journey in the World with George's film crew. Wade Norton gets assigned to go to Antarctica by Senator Phil Chase to break gridlock on the upcoming Antarctica Treaty renegotiation; gridlock risks to leave legal status in limbo, allowing for the exploitation of Antarctica by private interests, and environmental degradation. Wade's bio, from radical environmentalist to Senator aide. X's daily routine as a Good For Anything worker/proletarian in Mac Town (McMurdo) and surroundings for the beakers (scientists). X's bio: reader of Marxist theory, manual labor. Wade travels to Antarctica via New Zealand. Ta Shu's log, broadcasting to Chinese TV: first impressions in Antarctica. Sylvia, NSF representative, welcomes newcomers in McMurdo. Sylvia and Wade discuss the Antarctica situation, mistrust in the air. Wade meets X, then Val. X resigns from his employer, ASL. Ta Shu on the Ross Ice Shelf. Val gives Wade a tour of the Dry Valleys, by helicopter and on foot. They get to S-375 camp, where Wade meets Professor Michelson and group, they discuss oil drilling prospects. They hike together, discuss the findings of Sirius sandstone diatoms, the stabilists/dynamicists controversy, and their implications on Antarctic history. Wade feels comfortable with Val, even attracted. Flight to Lake Vashka, hike to Lake Vida. Val's bio: left Midwest life for guiding in Antarctica. X arrives at Roberts Massif and starts work at an experimental oil/methane hydrates drilling station. Phone call between Wade and Phil. Val's 13th “In the Footsteps of Amundsen” expedition departs, with a sledge and five clients, 300 miles, as much as possible recreating Amundsen's expedition, starting at Ross Ice Shelf: Mount Betty cairn, Herbert Range, Sargent Glacier, Axel Heiberg. At night camps, talking about Amundsen, Scott's mistakes, the historiography and biographies of these explorers. Wade at the South Pole Station: sees what little there is to see, visits the old abandoned station (items are disappearing from there too, some good organization would be required to pull that off). Wade meets Viktor, who plans to pump the freshwater of Lake Vostok to the Sahara. Wade meets Spiff, who takes him on the unofficial tour: they take him to the "summer camp" on the old station, with a band concert and dancing, then down to the old old 1956 station, with an underground complex created by melting lasers, then down the water slide to the underice heated lake! Sylvia notes the appearances of unknown objects on map. She talks with Wade, back from the Pole and on his way to Mohn Basin, about working together to solve the mystery of the disappearing equipment. 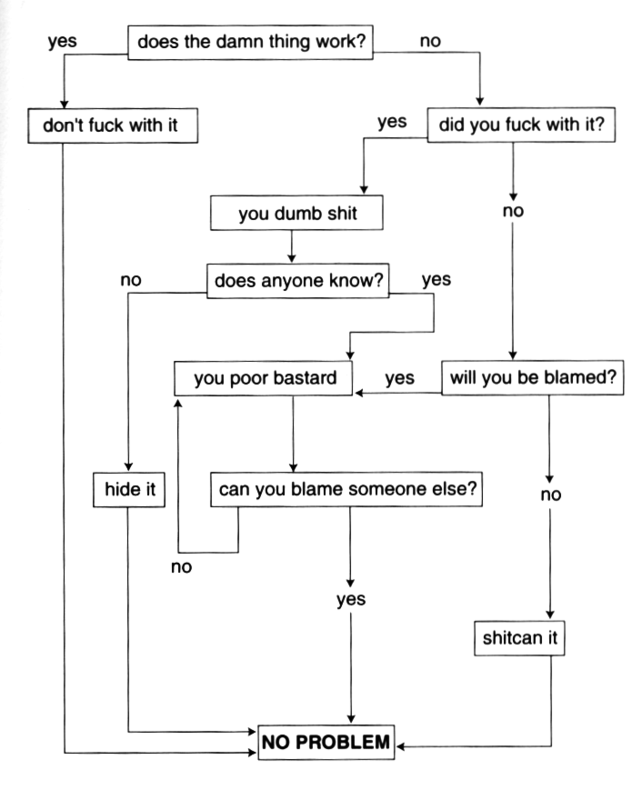 Graham's bio: stabilist/dynamicist debate. Graham and company are on a sample collecting trip in the field, they find an ancient crushed beech leaf! Ta Shu on Amundsen's trip. Val's group on Axel Heiberg Glacier, discuss Amundsen's Butcher's Spur. Hike up Hansen Shoulder, crossing ice bridge; they fall down a crevasse, their sledge is stuck below, inaccessible. Wade arrives at Roberts Massif, has a discussion with X and Carlos on scientists, utopia, and capitalism versus science. The ecoteurs set up plan. Carlos and X take Wade on snowmobile to a box car missing since the 1950s that they found, abandoned but recently used. They then arrive at the drilling platform right after an explosion has occurred. Val's team has no communications, Val decides they have to walk 100+ km to Roberts Massif. Wade, X and Carlos have to use the snowcraft to travel back; they run out of gas, go on skiing, and arrive at the Roberts Station, finding it destroyed as well. Michelson and group have lost communications too. Michelson ponders about the speed of scientific discourse. Wade, X and Carlos try to get warm in the hovercraft at Roberts. Val's group walk for hours and hours. Jack has to be carried on a ski stretcher. They reach the destroyed Roberts Station. The two groups meet, get warm, Jack is injured. They somewhat manage to communicate with McMurdo; they are low priority for evacuation. They decide to use the hovercraft to get all the way to Shackleton Camp, X and Carlos experiment with piloting it. Wade communicates with Phil thanks to military satellite; communications are down all over Antarctica. They get going with the hovercraft, trying to avoid faults in the ice or slopes up or down, until the hovercraft half-falls into a crevasse. From there on they have to walk the last 20 miles. While they walk, a storm hits; they gather in a makeshift shelter of sleds and rocks, Val unsure what to do with Jack. Then in the middle of the winds, blimps arrive to their rescue! They are taken to Bennett's Other Platform. The Transantarcticans welcome the group in their base. They are nomads, trying to make a permanent life on Antarctica, about 1000 people, many groups (fundamentalists, pragmatists). Mai-lis's group considers itself democratic, it is in quarrel with the Deep Ecology ecoteurs/ice pirates, who steal and sabotage. They fear the US Navy or NSF will react and kick everyone out of Antarctica. Various people on Antarctica and in the rest of the world know about the ferals, and help keeping it a secret. Ta Shu on Shackleton's group return to civilization. Aboard blimps, the group (and Phil on the phone) witnesses the Antarcticans attacking the ice pirates at their base: they use stun guns, Mai-lis' group sentences them to be exiled. In their lair, they find plenty of stolen material (and X's SPOT train car). They discuss the countries breaking the Antarctica Treaty, and the Antarcticans' way of life. The group reaches Quivannikumut, a big shelter, with greenhouses for food, a sauna; they discuss living off the land; they empty underice fish traps. Then the Antarcticans take them onboard their blimps to McMurdo, crossing various settlements on the way; they get off at Cape Evans. Ta Shu on Scott's hut at Cape Evans. The group waits for a lift inside Scott's hut. The group is transferred back to McMurdo, Wade feels weird. US Navy is there, FBI coming soon. A lawyer appears, Mr. Smith, representing the ecoteurs, starts negotiating with Sylvia. Val wanders around, remembering her failed “In the Wake of Shackleton” expedition. Wade gets Phil's approval to use his name in the negotiations. Sylvia chairs a meeting in the Chalet gathering all Antarctican parties present about the events of the past week: there is time pressure for them to present their story before the FBI comes in and non-Antarctican parties get involved. Mr. Smith makes the case for the ecoteurs, justifying their action as retaliation for the environmental degradation conducted by undemocratic governments and profit-seeking private interests that go against the Antarctica Treaty. Carlos replies: the upcoming renewal of the Treaty has left things in a vacuum, which certain countries are using to test methane hydrates extraction technology, which has proven to be environmentally safe were it not for the sabotage by this pretentious deep ecology group. Mai-lis arrives, and defends her group's project of sacred inhabitation of Antarctica, going feral and making the most of new technologies. They decide to reconvene. X is frustrated at the meeting. X learns from his ex-colleagues they are planning to form a co-op to make a bid to NSF for certain aspects of running McMurdo field services and replace ASL. X is progressively convinced, and tries to shake off his image of an innocent radical unreliable collaborator. Wade and Sylvia discuss Sylvia's investigation of the ecoteurs: satellite dishes, bombs, equipment destruction, but people safely evacuated. Wade and Michelson discuss his findings: Antarctica of old was a biome resembling the south of Chile of today, significant for policymaking about global warming. They both talk to Mai-lis. Armed with references from both Sylvia and Mai-lis, Wade calls their secret satellite image expert, Sam. Ta Shu on the landscape, on how to live, on what the Antarctican example means. They all reconvene. X makes the case for a non-profit-oriented co-op of local workers as contractor to NSF, a case representative of the world's problems. Val and Wade feel each other out, inviting each other to join them, in Antarctica or Washington. Val decides to join the Antarcticans. X talks to everyone and tries to get help, to make the co-op bid a reality. He and Val reconnect, and he imagines sharing his time between reconstructing McMurdo and helping the Antarcticans live life like true inhabitants of this place. He drives Ta Shu around for a last visit to Cape Evans. The 8 Articles of the protocol for a New Antarctic Treaty: site of special scientific/spiritual interest; nonrenewable resources cached for the future; land without ownership, human carrying capacity; zero-impact lifestyle for locals; nonviolence. Wade lands in Christchurch. Wade had talked with Sam: he has solid proof that companies from non-Southern Club countries are contravening the Treaty by doing oil exploration, one of them Texacon, directly financing Chase's opponent Senator Winston; he urges Phil Chase to pursue this in Washington. He catches Ta Shu's final broadcast from Antarctica to Chinese TV. Through the winter: the McMurdo Field Services Co-op won the bid; X built a small home from scavenged parts; he practiced traverse trekking and climbing; he kept contact with Wade and Val. Spring arrives: X traverses Ross Island, arriving just in time at Cape Crozier's for George's musical ceremony with the first sunrise! Wade Norton: Senator Chase's science advisor and friend. He had studied the Antartic Treaty System before. Grew up in Hemet, California, near Redlands; went to college in Berkeley; studied forestry in Humboldt State; studied environmental law; worked with the Wilderness Defense Club in Washington DC, quit disgusted at the compromises of reform politics; had a run-in with ecotage internationale in the Sierras; got interested in the impending ecological disaster of opening up Antarctica to development. Slim. Phil Chase: California Senator, Democrat, ex-chairman of the Senate Foreign Relations Committee aiming to come up with a continuation of the Antarctic Treaty System. The wandering Senator, travels a lot outside of the USA. X: General Field Assistant ("Good For Anything") at McMurdo, e.g. conducting trains with material. Val's ex, they had hooked up between Antarctican sessions as guides in New Zealand. "X" from "Extra", from "Extra Large". Read a lot of political philosophy, a Marxist. Valerie "Val" Kenning: guide at "Footsteps Unlimited". Physically fit, muscular. Had a brother who died young, lived with her grandmother in Wyoming before her death. Moved to Antarctica, had many ice romances, most failed. Ta Shu: Chinese writer and journalist visiting Antarctica, a practicioner of feng shui, has a 3D video feed to China. Short, wiry, gray goatee, long gray ponytail, around 60. Was previously named Wu Li. Down in Antarctica with the US Anterctic Program via the Woo program. Geoffrey Michelson: British geologist experienced in Antarctica. High in the SCAR hierarchy (Scientific Committee for Antarctic Research, an international organization). Graham Forbes: Kiwi glacial sedimentologist. Graduate at Cambridge, where his work under a professor who was a stabilist in the Sirius group controversy made him waste years of work, then moved to University of Sydney. Sylvia Johnston: English biologist, had married an American and got citizenship, works for NSF (National Science Foundation, a US organization). As NSF representative, she welcomes the visitors from the US Antarctic Program in McMurdo. Carlos: Chilean, experienced in Antarctica work and exploratory oil and gas drilling. X's boss at Roberts Massif. Mai-lis: Sami origin. Was a biologist in the Norwegian program 20 years ago. Became a leader of the (Trans)Antarctican ferals group. George Tremont: leader of the expedition filming documentaries in Antarctica, a Kiwi. 3. Oil, natural gas, methane hydrates, minerals, and fresh water all exist in Antarctica, sometimes in concentrations that make their extraction and use a technical possibility. (Oil in particular, to be specific about the most controversial resource, is located in no supergiant fields but in three or four giant fields and many smaller ones, totalling approximately fifty billion barrels). Given that this is so, and that world supplies of some of these nonrenewable resources are being consumed at a rapid rate, the possibility of extraction needs to be explicitly considered by not only the Antarctic Treaty nations, but the United Nations as well. Non-Treaty nations, in the Southern Hemisphere in particular, think of the possibility of oil extraction from Antarctica as one way of solving energy needs and dealing with ongoing debt crises. At the same time current oil extraction technology presents a small but not negligible risk of environmental contamination as the result of an accident. Technologies are likely to become safer in the future, and world oil supplies are decreasing so sharply that any remaining untapped supplies, left in reserve for future generations who may need oil for purposes, other than fuel, are likely to be extremely valuable. These trends point to the idea of caching or sequestering certain oil fields for future use. Southern Hemisphere nations in need of short-term help could perhaps make arrangements modeled on the debt-for- nature exchanges that have already been made; in this case, the World Bank or individual northern countries might buy future rights to Antarctic oil from southern nations, with the payments to start now, but the oil to be sequestered, with extraction to be delayed until the extraction technology's safety and the need for oil warrant it. The Treaty's ban on the importation of exotic plants, animals, and soils means that any local agriculture attempted by inhabitants will have to be conducted hydroponically or aquaculturally, in hermetically sealed greenhouses and terraria or in well-controlled aquaculture pens containing only indigenous sealife. This constraint will be one aspect of the carrying capacity calculations, and suggests also that self- sufficiency for any indigenous Antarctic society or societies would be impractical and risky for the environment, and should not be considered a goal of such societies. The reliance on outside help should be acknowledged as a given. 6. The achievement of clean appropriate zero-impact lifestyles in Antarctica is not merely a matter of the technologies employed, but of the social structures which both use these technologies and call successor technologies into being, as a function of the society's desires for itself. This being the case, all inhabitants of Antarctica should abide by the various human rights documents generated by the United Nations, and special attention should be given to cooperative, nonexploitative economic models, which emphasize sustainable permaculture in a healthy biophysical context, abandoning growth models and inequitable hierarchies which in Antarctica not only degrade human existence but also very quickly impact the fragile environment. KSR's second visit to Antarctica with NSF in 2017: article for the Smithsonian: "The Daring Journey Across Antarctica That Became a Nightmare"
in science and drawing salary, pension, and research grants.